What is Business Liability / Commercial General Liability Insurance? Business Insurance - Kelley Insurance Agency can provide insurance coverage for your business. Whether your business is small, sole proprietor or a large corporation we can find you the insurance coverage tailored to fit your business. Just some of the types of businesses we insure are: Apartments, Condo/Townhouse HOA, Restaurants, Strip Shopping Centers, Industrial Parks, Office Buildings, Automotive Garages, Manufacturers, Retail, Wholesale, Distributors, In-Home Business, Bonds and Workers Compensation Insurance. Commercial General Liability Insurance Protects Your Business From Common Liabilities. Your business faces liabilities every day. The only way to protect your assets is to carry adequate business liability insurance. A Commercial General Liability (CGL) insurance policy is the first line of defense against many common claims. General Liability insurance covers claims of bodily injury or other physical injury or property damage. It is frequently offered in a package with Property insurance to protect your business against incidents that may occur on your premises or at other covered locations where you normally conduct business. Commercial General Liability enables your business to continue operations while it faces real or fraudulent claims of certain types of negligence or wrongdoing. In addition to covering the claims listed above, Commercial General Liability policies also cover the cost to defend or settle claims - even if the claims are fraudulent. Personal and Advertising Injury. Covers you for certain offenses you or your employees commit in the course of your business, such as libel, slander, disparagement, or copyright infringement in your advertisements. Employment Practices Liability Insurance (EPLI). Is not included or part of a CGL or GL policy. It’s always/usually sold as a separate policy. Covers claims, including legal defense costs, for certain employment-related lawsuits brought against you by your employees or job applicants. Premises and Operations Liability. Provides coverage for bodily injury and property damage sustained by others at your premises or as a result of your business' operations. Products and Completed Operations One of the hazards ordinarily insured by a general liability policy. It encompasses liability arising out of the insured's products or business operations conducted away from the insured's premises once those operations have been completed or abandoned. Tenant's Liability. Protects your business against claims of damage due to fire or other covered losses caused by you to premises that you rent. What is & Who Needs Business Liability Insurance? What are you going to do when your computer system is breached? DOES YOUR COMPANY HAVE EMPLOYMENT PRACTICES LIABILITY INSURANCE??? Why Do I Need Business Liability / Commercial General Liability Insurance? Business Liability Insurance Keeps You In Business. Every business benefits from adequate Commercial General Liability coverage. CGL insurance protects you if a customer is injured at your place of business. It would also cover damage or injuries caused by your employees at a client's site. Commercial General Liability protects businesses against these types of claims. Even if your company is negligent or liable for damage, injury or loss to another's property, reputation or, your business can keep its assets if it is adequately insured. Commercial General Liability Only Protects Against Some Business Liabilities. Even as a BOP (Business Owner's Package), where CGL insurance is combined with Property insurance at very reasonable rates, General Liability insurance does not protect your business against every liability. If you or your employees make professional judgments and recommendations in the course of your business, ask your agent or broker about a Professional Liability policy in addition to a CGL policy. General liability coverage may be described in your contract in this way: "Supplier will maintain at its expense Comprehensive General Liability Insurance. Commercial General Liability Insurance policy limits shall be not less than a Combined Single Limit for Bodily Injury, Property Damage, and Personal Injury Liability of $1,000,000 per occurrence and $2,000,000 aggregate." 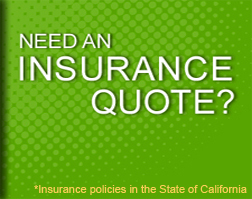 * For Commercial Vehicle Insurance, Please see our Auto Insurance page. ©2010 JKelleyInsurance.com, Kelley Insurance Agency, Lic#0725414 - All Rights Reserved.